Bachelor of Mass Media is a Mumbai University course that (thankfully) places less importance on knowledge gained only via books but in fact promotes the acquiring of knowledge through a practical format of teaching. It was for this reason I decided to pursue BMM. This decision has been proved appropriate since, and I am absolutely pleased about being mentored by teachers and professionals who belong to and have a lot of experience across fields of media. If you want to be in the same position as I am, then you too need to join the BMM course. And here are top 6 reasons (according to me) for you to do so. 1. BMM is a career oriented course that throws up umpteen options at the end of three years. Be it movie-making, theatre, radio, journalism, copy-writing, script-writing, branding, or PR, all these career options can be explored after getting a degree in BMM. One can never really be too spoiled for choice, no? 2. Acquiring knowledge across fields (arts/science/commerce) is made possible thanks to BMM. For example, economics, an inherently commerce subject is taught in BMM to ensure students are well versed with the world of numbers and money. Similarly, a subject like political science which is taught in the arts stream is a part of the BMM syllabus too. Technicalities of radio and television are taught so that students know the workings of both these forms of media. 3. After joining BMM you will see a sharp improvement in your communication/presentation and creative writing skills. Subjects like ‘Creative Writing’ will help you get well versed with script-writing, television-writing, narration etc. Introduction to Journalism is sure to teach you how to write long, crisp, jargon-filled reports. Also, given the large number of presentations that you will be expected to make, your vocational and presentation skills are bound to improve tenfold. Mine surely have! 4. Industrial visits are an integral part of the BMM course. In my 1st year we visited FTII- Film and Television Institute of India. We were introduced to the world of dubbing, editing and other stages of film production by working professionals. In the 2nd year we visited Asia’s biggest film studio, Ramoji Film City, which brought us face to face with the magic of film making. This is practical learning at its best! 5. 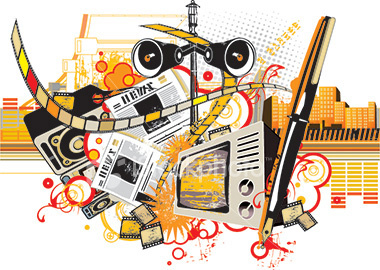 Since BMM is a media course it allows you to work your way through media in the language of your choice. To further explain and justify my point, let me give you an example. A boy from my class was not very confident with his English speaking abilities. He always wanted to be a journalist with a Marathi news channel or newspaper. Keeping this is mind, he was allowed to make all presentations in the language of his choice. Cool, na? 6. Your computer software skills are sure to be sharpened in BMM. Thanks to BMM I am now comfortable with softwares like Microsoft Word, Microsoft PowerPoint, Adobe Photoshop, Corel Draw as well as video editing softwares like Pinnacle and Premier Pro. These skills will give me an edge over others in my work place, that I am sure of. BMM is a great platform to give voice to your talent. Be it editing, sketching, writing, film-making, you will get opportunities to display and better your talent. It is a course that allows you to learn not only from industry big-wigs, but also from your talented class mates. This is the course you must choose if you wish to give wings to your true abilities and explore your inner hidden talent.